I called on last minute , and surprisely they response me very fast , they came to my house on the afternoon and solve my aircon problem with no extra charges. Definitely will use their services again. Tried several company that offer very cheap deal , but wasting time and pushing me services that I don’t want . 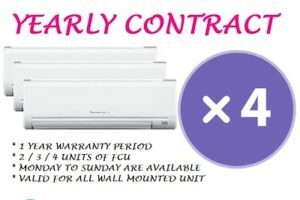 The Service Aircon Singapore are very knowledgeable and efficient. They really did a great job each and everytime. Fabulous services and installation from start to the end. Service aircon Singapore is the top of my list. I have recommended them to my friend and they all had great experiences.